Our experienced Lettings Team can provide a complete lettings service, helping with all aspects of Letting, starting with a FREE market appraisal, finding you a tenant and managing the property if you don’t want direct input. We understand every client is different so will tailor make our service while offering a professional and friendly service. For help with renting or letting, please call us on 01865 749 645. The outlying villages and areas that the Cowley, Oxford office cover include, Berinsfield, Charlgrove, Stadhampton, Kennington, Garsington, Horspath, Wallingford, Blackbird Leys, Greater Leys, Rose, Hill, Temple Cowley, East Oxford, Botley, City Centre. 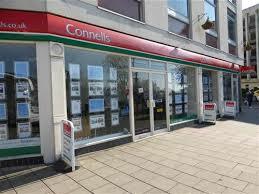 Hey Buddy!, I found this information for you: "Connells Estate Agents Oxford". Here is the website link: https://oxfordlocals.com/ad/connells-estate-agents-oxford/. Thank you.